Sheikha Al Mayassa, reported to be the most powerful person in the art world, is (a) the sister of the emir of Qatar, (b) the chairperson for the Qatar Museum Authority, (c) has access to a LOT of money and (d) appears to have pretty good taste. 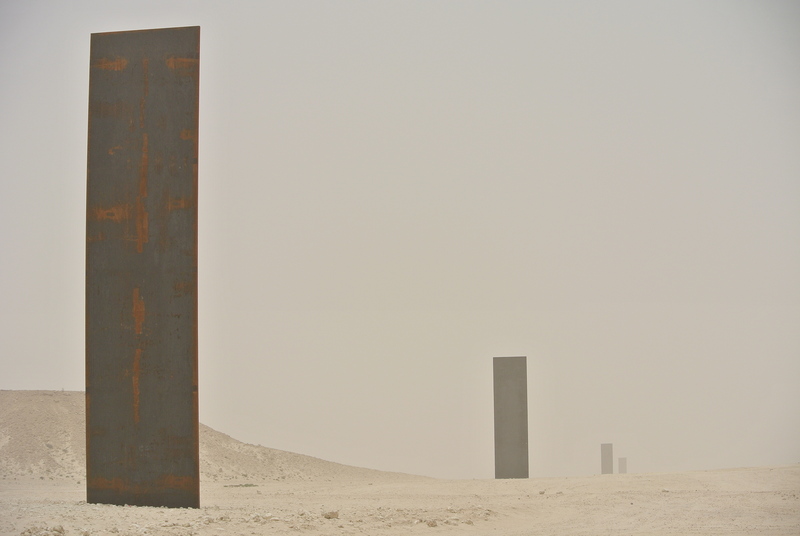 She commissioned Richard Serra to create a dramatic sculpture in the middle of the Qatari desert. So he did; he developed East-West/West-East. Using a drone, Alex Klim has made a beautiful short film called A Glimpse Of The Desert capturing East-West/West-East beautifully. You must watch it! 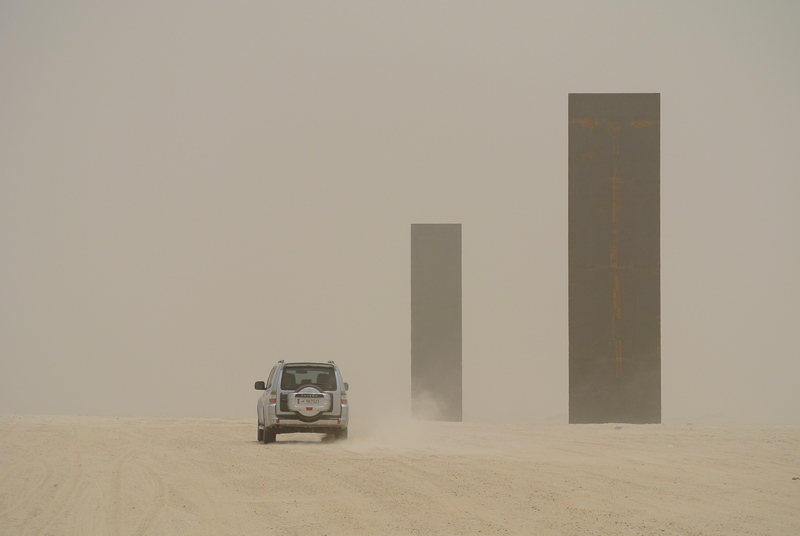 It shows the four 50ft steel sculptures which were craned in and planted in our ‘countryside’. They are truly stunning with the tallest being 16.7m to sit level with the gypsum plateaus either side. And at this time of year they are hot to touch! Scrambled eggs were cooked on them this spring, so if you’re planning a visit… pop to the shops first and then go fry yourself an egg in the desert!